Warid Telecom, the leading innovator in Pakistan’s telecommunications industry, has released another Industry First service: Unblock Me service for Warid Postpaid customers. Unblock Me service provides all Warid Postpaid customenrs who are tired of getting their outgoing blocked every month and don’t have enough time to pay their bill the option of continue using their mobile phone without rushing to make the payment. With Unblock Me service, the customers can make calls even if their outgoing has been blocked. In order to keep up with their image of providing a solution to the needs of their customers and keeping their comfort in mind, Unblock Me is an addition to services like Advance Balance and Balance Transfer, allowing Warid customers to keep on using their services without any hindrance. To restore your number just dial *147*1#. An SMS will be received by the customer notifying that their outgoing capability has been restored for a limited time period. Only customers who haven’t reached 100% of their limit are able to use this service. Dialling *147*1# is free of cost though service charges of Rs.5.00+tax apply for each request sent. Wateen has completed the roll out of Allied Bank Limited (ABL) for their branch office Wide Area Network (WAN) connectivity and to upgrade its branch network infrastructure for over 550 branches nationwide. This historic agreement with Wateen was done in 2011 to provide branch connectivity to ABL nationwide. As part of the upgrade, Wateen is providing WiMAX and optical fibre connectivity to ABL branches and core data centres in Lahore; this will ultimately help the bank enhance the customer experience to an optimum level. Warid Telecom, leading innovator in Pakistan’s telecom industry, now offers its Glow and prepaid subscribers 500 free on-net minutes and 500 SMS to any network through its ‘Muft Hafta’ offer. To avail this offer subscribers need to “SMS or Call 3733” from their Warid numbers. Through the ‘Muft Hafta’ offer, for every 4 weeks of usage, customer will receive one free week every month for six months. To enjoy this exciting offer, customers simply have to activate their new Warid SIM before 15th June or re-activate their Warid SIM not in use since 20th April. Subscribers will receive their free minutes during the fifth week after they have used their Warid connection for the previous four weeks. The number of minutes offered to the client will amount to 25 percent of the minutes they would have used in the first four weeks. For example if a subscriber has consumed 100 minutes during four weeks they will be given 25 free minutes during the fifth week. The upfront free 500 on-net minutes and SMS to any network have a validity of 3 days. Warid Telecom, a leader in innovation in the Pakistan telecom industry, has signed a Memorandum of Understanding with Monet and Meezan Bank for rollout of the Warid Telecom Payment Gatewayfor Meezan Bank’s branchless banking services, with Monet as the technology partner for the venture. Through this memorandum, Warid Telecom and Bank Alfalah have been joined by Meezan Bank as founding members to create the Mobile Money Network which would be subject to SBP approvals under the branchless banking regulations. The MoU was jointly signed by Warid Telecom’s Chief Commercial Officer, Mr. Younas Iqbal Sheikh,Meezan Bank’s Chief Operating Officer, Mr. Ariful Islam, and Monet’s Chief Executive Officer, Mr. Ali Abbas Sikander. Mr. Muneer Farooqui, CEO of Warid Telecom said “Warid is excited to play its role in the development of a first-of-its-kind financial eco-system with partner banks for our customers and distribution networks. The Warid Payment Gateway is the first step to create a bridge between distribution networks and banks with an independent PSP like Monet”. Thirteen student teams from Pakistan’s top universities are preparing ultra energy-efficient vehicles for Shell’s annual super-mileage competition, the Eco-marathon. The competition will be held from July 4-7, 2013 in Kuala Lumpur, Malaysia where over 1,000 students from 16 countries in Asia and the Middle East will come together for the fourth time on the Formula One circuit at Sepang. To showcase the progress the teams have made on their vehicles before the competition, Shell Pakistan Limited is organising a launch event at NUST campus in Rawalpindi. Participating teams will test their cars on May 18, 2013 under the supervision of technical and safety experts, and will take the track on May 19, 2013. In an effort to motivate the students to go beyond the competition, Shell Pakistan will be giving out special awards to Pakistan teams during the launch event. Awards will be given to teams who have built their vehicles around Shell’s high safety standards, have turned innovative ideas into reality and which have kept achieving a sustainable future of energy in mind. A panel of judges from academia, industry and the government will be viewing the vehicles at the launch event and awarding the best performers in these categories. The event will be followed by a press conference and award ceremony. “Shell Eco-marathon brings together young and brilliant minds, who will be this country’s future leaders,” said Omar Sheikh, Chairman of Shell companies in Pakistan. Shell Eco-marathon provides a platform for students to push the boundaries of fuel-efficiency that are part of Shell’s innovative approach to help tackle the challenges of the new energy future. Using the experience gained at Eco-marathon events over the last 4 years, students from Pakistan continue to develop fuel-efficient vehicles that could one day be part of the solution to global energy challenges. The Eco-marathon is a super-mileage challenge, created by Shell, designed to inspire student innovation and develop future technologies that represent game-changing fuel efficiency and transportation performance. Participants are challenged to design, build, and test vehicles to go the farthest distance using the least amount of energy. This year, about 150 student teams from 16 countries all over Asia will hit the tracks of the Sepang International Circuit with their “Prototype” and “Urban Concept” category vehicles. The Prototype category invites student teams to enter futuristic cars – streamlined vehicles focused on maximising fuel-efficiency through innovative design elements, such as drag reduction. The UrbanConcept category focuses on more “roadworthy” fuel-efficient vehicles. Aimed at meeting the real-life needs of drivers, these vehicles are closer in appearance to the higher-mileage cars seen on roads today. For both Prototype and UrbanConcept categories, teams may enter vehicles using any of the following eight energy types: hydrogen (fuel cell), solar, battery electric, gasoline, diesel, Shell Gas to Liquids (GTL), Fatty acid methyl ester (FAME) and Ethanol E100. Warid Telecom, the leading innovator in Pakistan’s telecom industry has released the latest App for people using an Apple iPad. 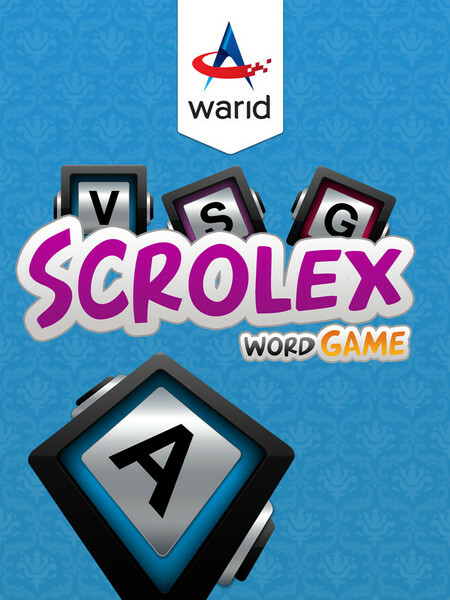 The application is called ‘Scrolex’ which is a word game to challenge and exercise your mind in a fun and easy way in order to improve your vocabulary and linguistic skills. Scrolex causes word recognition centers in the right side of the brain to activate, thereby improving a player’s cognitive skills over time. 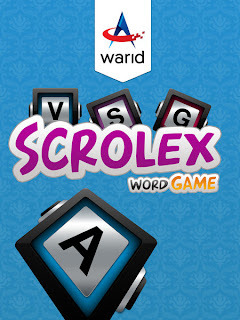 Users are given the challenge of completing both vertical and horizontal grids to guess the correct word using the clues and make up a chain of words with increasing difficulty at every level.